A national manhunt is ordered for a rebellious kid and his foster uncle who go missing in the wild New Zealand bush. 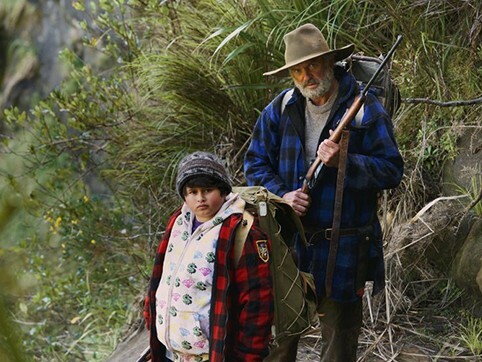 Director Taika Waititi's Hunt for the Wilderpeople has captured the hearts of Kiwis everywhere. It broke all box office records and became the most successful New Zealand movie ever. This is not to be missed! Family activities from 5:30pm. Movie starts at sunset (sunset at approximately 7:25pm). Movie run time 1hr 41min. This event is brought to you by Waitakere Ranges Local Board. Thanks to our major partner nib health insurance and supporting partners Te Wānanga o Aotearoa, NZHL Home Loans, Insurance, Menulog New Zealand, Pop'n'Good Popcorn and MORE FM. Zero waste, smoke free, alcohol free.